AVATrade Reviews 2019 - Real Client Ratings | Trustworthy or Not? This award-winning forex broker was established in 2006 with its headquarters in Dublin, Ireland, and is regulated by the Central Bank of Ireland, by ASIC in Australia, by the FSC in Japan and also in the British Virgin Islands. The broker is licensed by the MiFID in the EU. It has offices around the world, in Milan, Sydney, Tokyo and other countries. Traders will enjoy competitive spreads, generous bonuses, diverse trading package, and complete transparency. Account: Single commission-free standard account, with fixed and variable spread accounts and spreads starting at 0.8 pips. Traders can choose between trading forex with fixes spreads or floating spreads. Generous opening bonuses are available. Accounts can be traded on desktop, mobile, tablet and web-based platforms. Client funds are kept in segregated accounts in international banks. Traders can open a demo account with a trading platform of their choice to test out their skills and practice before playing with real money. 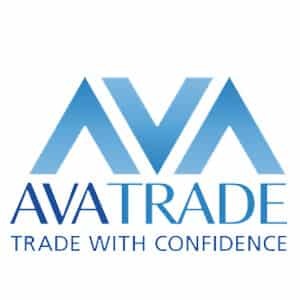 Features: Ava Trade gives you the proprietary AvaTradeAct trading platform as well as MetaTrader 4 to trade on. 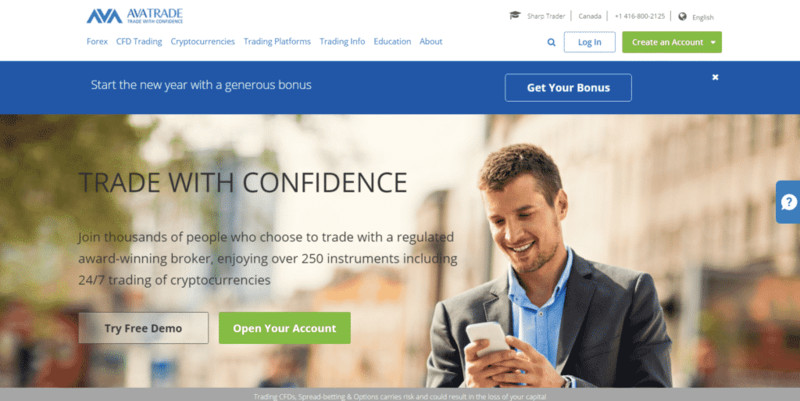 Clients can trade in over 50 forex pairs as well as cryptocurrencies. They were one of the earliest brokers to offer digital trading on their platform. The Ava Trade trading platform gives you access to many types of orders including Limit orders, Market orders, Stop Loss, Entry Limits, Trailing stops, IF Done and One Cancels Other. Hedging is allowed. Spread betting is possible through the Meta Trader 4 platform (for UK and Ireland-based clients only.) Clients with over $1000 deposits can access charting tools at Trading Central. The brokers also offer programs like Money Managers, Introducing Brokers, White Labels, Marketing Partners and Affiliates. Education: Ava Trade offers education for beginners, videos, ebooks, economic indicators and access to Sharp Trader’s resources. Deposits/Withdrawals: Deposits can be done via wire transfers and cards or a special Ava debit card, with a minimum $100 deposit. Withdrawals are processed on the submission of a withdrawal form, but can take several days to process. Customer service: Award-winning, multilingual support is available via phone, live chat and email in 34 countries. User reviews: Check out more AvaTrade Reviews below.